A straight, beautiful smile is one of the best accessories anyone can wear. 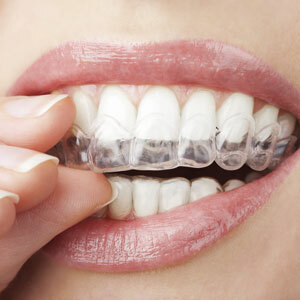 Invisalign is an outstanding smile-straightening solution. Unlike traditional metal braces, Invisalign uses a series of clear aligners so you can achieve a straighter smile comfortably and discreetly. First, you will meet with Dr. Antonela Larashi for a consultation to determine if you would be an ideal candidate for Invisalign. She will review the entire process with you and answer any questions you may have. Next, we will take digital impressions of your teeth using our on-site CEREC machine. These impressions are more precise than traditional putty impressions. We will also take intraoral and extraoral pictures of your mouth. Dr. Larashi will then send the impressions and images to Invisalign, so a treatment plan can be created specifically for you. Once we receive your treatment plan, Dr. Larashi will review it and go over what you can expect, as well as a timeline of how long the treatment will likely take. Once we get your approval we will then move ahead with treatment. This first visit is typically the longest one as Dr. Larashi may need to perform some enamel reduction or place buttons on your teeth. The buttons are where the aligners stand; they enable your teeth to move where we want them to move to. At this appointment, Dr. Larashi will give you several trays to take home, as well as instructions on wearing them. You will need to wear your aligners for 22 hours a day, removing them only to eat, drink and brush your teeth. These appointments are relatively brief, at about 15-20 minutes each. Dr. Larashi will check your teeth to ensure that they are moving the way we want them to, and that the buttons are still in place. You will receive new aligners to wear about every 4-6 weeks, depending on your treatment plan. The average treatment time is 8-12 months. At the end of your treatment, Dr. Larashi will provide you with a custom retainer. It is essential that you wear your retainer each night thereafter, so your teeth remain perfectly aligned. If you do not wear the appliance, your teeth will likely revert to their original position. Whichever option you choose, you can enjoy a bright, beautiful smile! We are confident you’ll be delighted with your Invisalign results! If you’d like to straighten your smile with Invisalign, contact Hallmark Smiles Dental Care today to book a consultation with Dr. Larashi.